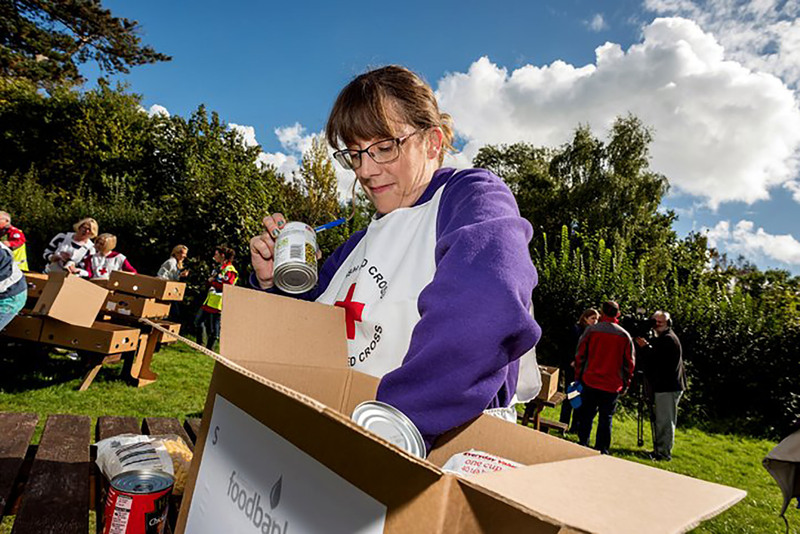 The British Red Cross community reserve volunteer scheme wants local people to work together as a team during major emergencies, such as flooding, fires and power failures. The volunteers don’t need any specialist skills and will be called in if crisis strikes in their area. It’s quick and easy to sign up online and community reserve volunteers will be contacted by text if there is an emergency in their community they could help with. They will undertake vital jobs like packing food parcels, blowing up airbeds for rest centres and filling sandbags in times of flooding. They’ll work in small teams led by an experienced Red Cross volunteer who will ensure that the teams are well supported and directed. The call for people to sign up comes after the British Red Cross experienced one of the busiest years since WWII, assisting 9,300 people in more than 1,500 emergencies across the UK in 2017, including terror attacks in London and Manchester, and the Grenfell Tower fire. Pam Smith, Chief Executive of Stockport Council, said: “Major incidents don’t happen often, but we want to make sure that when they do happen, our residents can come together to help others and do small things that make a big difference. Simon Lewis, Head of Crisis Response at the British Red Cross, said: “The British Red Cross responds to a UK emergency every four hours. “Last year we faced a huge number of major emergencies like those in London and Manchester. They brought tragedy to so many people, but we witnessed remarkable acts of kindness and saw that people really want to give practical help when crisis hits. “By creating a national taskforce of community reserve volunteers we want to put local people at the heart of emergency response, to help communities rebuild and recover faster.